Over the past couple of months, there’s been a band from Boston that has nearly everyone affiliated with the city’s music scene talking about them. 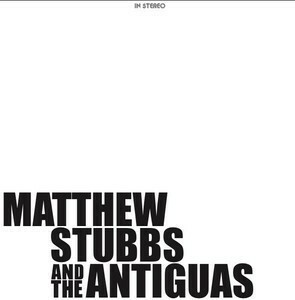 They’re known as Matthew Stubbs and the Antiguas, and they have a groovy instrumental sound that fuses psychedelic rock, acid jazz and funky blues. It’s the kind of music that leaves a lasting impression and they’re independently releasing their self-titled debut album Jan 26. Each track offers something different while the rhythms stay consistently tight. This album definitely has what it takes to be considered one of the top releases in New England when 2018 comes to a close. Blues fans might know Stubbs from his time as the guitarist for the legendary harmonica player Charlie Musselwhite since 2007. His band’s debut has a bombastic vibe that’s reminiscent of big-time blues music. It’s a quality that grabs hold of the ears and keeps the listener hooked. The bombasticness comes from drummer Chris Rivelli bringing the down beats and bassist Mark Hickox providing the line that each song walks on. Just Lopes’ skill on organ perfects the psychedelic sheen that covers the entire album. Lopes really shines on organ during “Death Grip” – there’s a bit of noir due to the song’s structure: It’ll make one think that it should be part of a soundtrack for a classic gangster flick. “El Segundo” has a Latin aesthetic that’s smooth as felt fabric on a newly swept floor; Rivelli’s drumming is the rock-solid foundation that makes this track truly special. Distorted and feverish is the best way to describe “John Doe” as Stubbs rips stunning riffs off his guitar. Stubbs and his band will be ringing in the release of their self-titled album on the same day of its official release at the Narrows Center for the Arts in Fall River, MA. 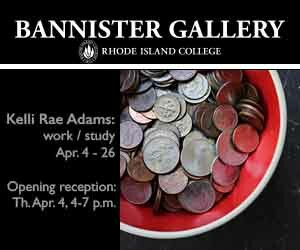 Blues phenom Julie Rhodes will be opening things up, so it’s highly suggested to show up early. When you arrive, grab a copy of the new record and make sure to have a good time. Then play it in your favorite audio apparatus when you leave and see what the fuss is all about.